The New Zealand Dollar followed the Australian Dollar lower in the early stages of last week bottoming out against the US Dollar at 0.6744 before things changed. US (NFP) Non-Farm Payroll jobs data showed only a further 20,000 people were added to the workforce – the figure significantly down on the expected 180,000 number. Unemployment came in better than expected at 3.8% from 3.9% but the US Dollar traded softer allowing the kiwi to regain early week losses. Global Auction Milk prices have again posted another positive result of 3.3%, this is the seventh increase in prices since November 20th with farmgate prices set to improve over time. Another quiets week for data for the local currency suggesting outside influences will impact for the second week running. Larry Kudlow has made the suggestion that the ongoing Trump/China trade talks are making “headway” as mixed reports suggested the two parties were miles away from agreeing on a deal. China has suggested a compromise to the US Govt that would allow them to impose an enforcement provision if conditions were not met. 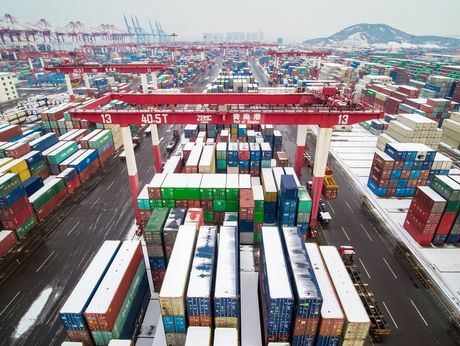 Currently the US, based on the current deal conditions, have all the rights to charge China reimposed tariffs if they failed to meet with structural changes to its economy. China have highlighted this as unfair and wish to even the playing field with their own set of what if’s penalties as they seek an equal rights trade deal. Erin Ennis senior vice president of the US/China business council has said “we could definitely see ourselves in yet another period of uncertainty” the longer differences continue. Trump is to set to demand another 8.6 Billion in wall funding to build additional sections of the wall along the Mexico/US border in a new set of new battles with congress. The US Dollar retreated late Friday after Non-Farm Payroll (NFP) printed down on expectations of 180,000 at 20,000 as markets sold the Dollar. US unemployment is still low coming in down at 3.8% from 3.9% as well as Average hourly earnings also printing positive at 0.4% from 0.3%. Equity markets closed lower but the kiwi and Aussie pushed up slightly off recent lows as news broke. The ECB left the overnight rate unchanged and will look at stimulating the economy’s growth through 2019-2020 with a product called (TLTROs) Targeted Longer-Term Refinancing Operations as a potential method to inject liquidity to boost growth. The ECB cut its inflation and growth forecast and delayed any shift to rate hikes by at least three months with the current rate on hold until at least the end of this year. They have also introduced a bunch of cheapish long term loans (TLTRO) in the hope of loosening liquidity conditions later in 2019. Draghi said that the likelihood of a recession was low and the Eurozone growth outlook was still swayed to the downside. It’s a quiet week for tier one data with only less significant economic releases to print. The British Pound depreciated further heading into the weekly close and opened Monday on the defensive. Against the US Dollar it traded from around 1.3070 down to 1.2965 based on the EU rejecting May’s latest offer. The EU made a fresh offer of letting Britain exit the backstop but keeping Northern Ireland in it which was not acceptable to May. The parliament vote which takes place on Tuesday 12th March (Wednesday morning in NZT) is expected to be dreadful for May. Several members of cabinet have discussed whether May’s time is coming to an end if the vote is a “no” Tuesday. The EU are in the driver’s seat as they can either deny the UK an extension and ask them to leave or demand an increase of the “divorce payment” as a trade off for offering an extension of time for article 50. One possible scenario which could play out if support grows for the UK to not leave the EU if the current deal is scrapped, the EU could offer an extension and the UK have another referendum which would turn out “no leave”. This week the Pound will be by far the most volatile currency, expect wild swings as news hits the wires. In breaking news, the Pound outperformed Tuesday morning travelling to 1.3280 on hopes a last gasp deal on Brexit can be agreed. Theresa May is on her way to Strasbourg where she will meet European Commission President Juncker. The Japanese Yen closed the week outperforming its rivals on the main currency board after risk aversion drove market sentiment and rallied the JPY. Turning a corner after five weeks of losses against the US Dollar the Yen remained in control. Bouncing from 112.13 the pair closed the week around 110.90 as the ECB’s decision to launch another round of TLTRO’s sent markets in search of safety. Chinese trade figures were also a risk factor with Chinese exports falling more than 20% in February. The trade surplus m/m came to 4.12B much weaker than the 26.3B markets were expecting. Japan’s GDP grew by more than 1.90% for the last quarter of 2018 coming in ahead of predictions of 1.80%. The economic watchers survey also supported the Yen releasing at 47.5 for the month of February after 45.6 was expected. This weeks (BoJ) Bank of Japan policy rate is announced on Friday and will remain unchanged. Overnight Canada entered DST (daylight saving time) with clocks moved forward 1 hour. The Bank of Canada maintained its 1.75% rate last week saying the global slowdown has been worse than predicted and widespread than the bank had forecast especially in the fourth quarter of 2018. Inflation is forecast to be a little less than 2.0% for most of 2019 but given the pressures on lower Oil prices CPI has eased to 1.4% in January. The BoC are uncertain about future timing of rate increases and will watch developments in Oil markets, household spending and US trade policy. The Canadian Dollar sank across the board and travelled to a yearly low against the greenback. The US Non-Farm Payroll figure Friday was not as rosy as predicted putting the US Dollar under pressure and taking the CAD off its lows. A quiet week for Canadian data on the docket with only Manufacturing Sales to print. Previous ArticleFX UpdateNext ArticleMr Speaker. My 3rd attempt at Brexit will be different.